Everything your lawn needs to look the best comes with the services at Brooks Landscaping LLC. We are able to create a healthy, green, lawn for your home without the use of any chemical fertilizers or pesticides with our organic lawn care program. Our approach is to fertilize appropriately, improve the soil, and use natural products to minimize stress to create you a beautiful, healthy lawn without all the chemical products. Our organic lawn care service is exactly what you need when you are concerned about both a healthy lawn and peace of mind. As the best local organic lawn care provider in Middlebury, Watertown, Woodbury, Southbury CT, and beyond, you wont regret giving us a call! The organic lawn services provide unmatched results compared to other programs. We approach every lawn we treat with care at Brooks Landscaping LLC. Also, with all our lawn and other landscaping services available, you will be sure to have a green lawn and beautiful landscape to enjoy. If you’re ready to use an organic program for your Connecticut lawn, Brooks Landscaping LLC is ready to help. 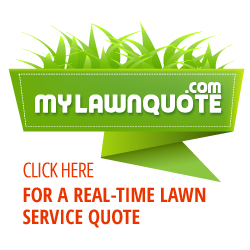 You can even get a instant free quote for your lawn program with us in only a few minutes! Make Your Lawn Healthy & Organic Today! Make the change today and create a safer, healthier, organic lawn. Our organic products and services are completely safe for your children and pets ALL THE TIME. We build up the organic matter in the soil so your lawn actually ends up requiring less water and is resistant to droughts making care even easier.